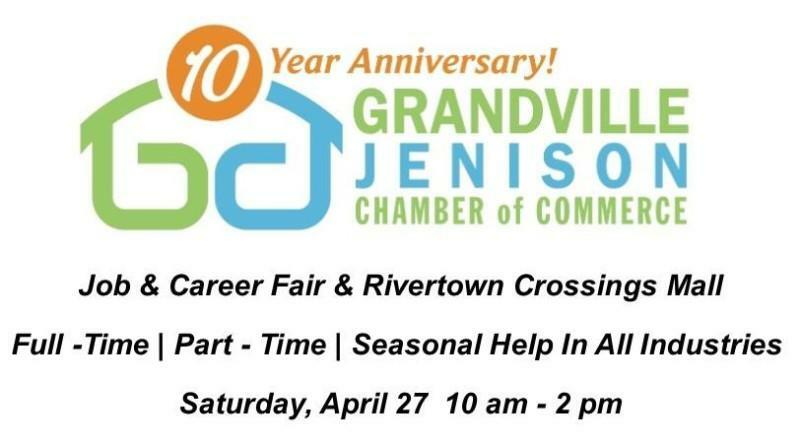 Join the Grandville-Jenison Chamber of Commerce for their first Job & Career Expo at Rivertown Crossings Mall. The primary goal is to help members find quality candidates and for local job seekers to find good jobs in their own communities. Some jobs may be seasonal and many jobs will be permanent...it's a job fair for ALL SEASONS and ALL SECTORS too, including retail, manufacturing, health care, tech, IT, financial services and more!